It is widely accepted that learning is critical to the coaching process. “The products of the work the client and coach do together are action and learning. 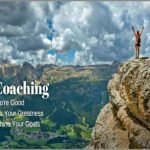 These two forces, action and learning, combine to create change.” (Whitworth, Kimsey-House, Kimsey-House, & Sandahl, 2007, p. 12) We often focus on the change that occurs in a client’s life during the course of a coaching relationship, but action is what produces the change, and learning is what gives the client new options and ways of thinking and being that allow for the appropriate actions to be taken. 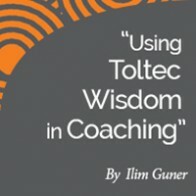 This focus on learning as part of the coaching process means that having an understanding of how people learn and the styles and preferences that people may bring to the coaching relationship are an important way for the coach to ensure that the client’s needs are best served by focusing on tools that best meet the client’s learning style. There are a wide variety of methods for assessing learning styles in adults that are based on different theories about learning. Karagiannidis and Sampson (2004), Sims and Sims (1995), and Hickox (1995) all provide reviews and comparisons of the various models and assessments available for this purpose. Of these, variations on the VARK© learning style inventory (Marcy, 2001) are the ones most easily found online for easy self-assessment by a client. 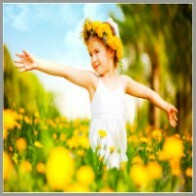 The variations on this model often separate learners into visual, auditory, or kinesthetic learners. The VARK© model itself also includes a read/write learner option, but this is frequently missing from the popular online quizzes available. informational learning, which is new knowledge added to the current form of one’s mind, and Kenetha J. Stanton | Chrysalis Wellness, LLC transformational learning, or learning that changes the very form of one’s mind, making it more spacious, more complex , and more able to deal with multiple demands and with uncertainty. This is based on the constructive-developmental theory of Robert Kegan, but they argue that this transformational learning is what is key to the coaching process. Much of the work that has been done with various learning models and learning styles, however, has been focused on how people best undergo informational learning. This paper argues that an understanding of one’s learning style that is based on the Open Mind model (Markova, 1991) is better able to guide a coach in designing effective coaching tools and approaches precisely because it provides information about a client’s learning style that goes beyond the informational learning style to the transformational learning styles of greatest importance in the coaching relationship. This model provides information about ways to trigger not only the conscious mind where informational learning takes place, but it also provides information about ways to trigger the subconscious and unconscious mind of the learner so that imagination, intuition, and reflection can be used more effectively in the coaching process. When electroencephalography (EEG) is performed to measure the electrical impulses of the brain, there are four distinct states of brainwave activity that can be observed. These four states are known as the beta, alpha, theta, and delta states in order from the highest frequency to lowest frequency of the brainwave patterns. Each of these states corresponds to a different state of consciousness. Beta brainwaves, the highest frequency state, appear in an EEG when a subject is awake and alert (Bower, 1987, p. 127). This is what we would call a fully conscious state in which the subject is actively engaged with the outside world. When we are taking in new information, making decisions, and interacting with the world around us, we are functioning primarily in the beta state. We spend much of our waking time in this state, and it serves us well in our daily activities because it helps us to focus. However, this state tends toward highly patterned thinking because patterns help us to readily process all of the information that comes at us on a daily basis, and this tendency toward set patterns can also be a liability. 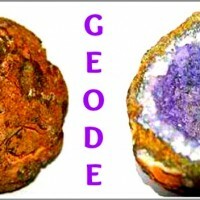 Most of our beliefs and self- concepts reside here and can become rigid, calcified dogma (Markova, 1991, p. 25). 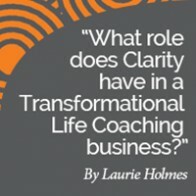 Research Paper: What role does Clarity have in a Transformational Life Coaching business?